I’m taking the title of this post from one of my favorite ideas — that even though “fiction” is defined as imaginary or untrue it is, in fact, a vehicle for telling the truth. That’s my favorite kind of fiction. Any good story can teach you something true about yourself or other people, but truly great stories are going to get at a “deeper human truth” than is often isn’t possible in any other form. Child-labor laws would have passed in Britain without Dickens, but would it have happened as quickly if people hadn’t read Oliver Twist? Would the phrase “Catch-22” have entered our vocabulary if Joseph Heller wrote an essay instead of a novel? *note: there will be spoilers for all these books. 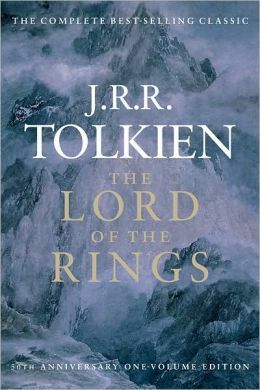 Tolkien insisted his The Lord of the Rings trilogy was not allegorical or inspired by his personal life, but I think we can at least say that his faith (Catholic) and his history (serving in both World Wars) influenced his writings. It’s a classic battle of good verses evil that set the stage for every epic fantasy adventure written since. Just in case you’ve escaped reading or watching LOTR, the formerly-vanquished dark lord Sauron has come back into power in Middle Earth and is attempting to regain control of a magic ring that will let him subdue all lands and people under his power. Though there are great warriors involved in the fight, the final victory hinges on two little hobbits from the middle of nowhere who hiked a very, very long way to destroy the ring. By taking us outside of our own world, Tolkien shares universal truths about what makes a real friendship, the sacrifices required to do the right thing, and the importance of resisting evil even when it seems hopeless. One of the truths that hits me the hardest when reading or watching Lord of the Rings is how helpless we are to resist evil on our own. Frodo was incredibly strong on an emotional and psychological level and he carried the ring longer than any other character could have, but he still couldn’t make it up to Mount Doom by himself. Sam carried him the rest of the way and Frodo still wouldn’t have destroyed the ring if Gollum hadn’t fought him for it and carried it into the fires when he fell. Even heroes are susceptible to evil’s pull and they can’t overcome alone. I’ve read the whole Hunger Games book series and just watched Mockingjay Part II this past weekend. Suzanne Collins grew up learning about military history from her father — a Vietnam veteran and history professor. She didn’t go the history professor route herself, though, instead majoring in theater and telecommunications, then earning a master’s degree in dramatic writing. The Hunger Games, Catching Fire, and Mockingjay all take a good, hard look at what the article linked above describes as “necessary and unnecessary wars.” They quote Collins saying, “If we introduce kids to these ideas earlier, we could get a dialogue about war going earlier and possibly it would lead to more solutions.” In this case, the writer approached her storytelling hoping to convey truths about and get a dialogue started on ideas relate to war. My mother, brother and I were talking yesterday about how Mockingjay is a story that sticks with you. It’s not something you can just read/watch and move on from. This is largely owing to what is probably Collins’ least popular authorial choice — killing Finnick Odair. In the book I actually read right over his death the first time and then had to go back and figure out what happens to him. His death isn’t the driving force in a major plot point (like Prim’s death) and he doesn’t have a dying scene all of his own (like Rue does in the first book). He just dies senselessly and tragically while the action moves on without him. And that’s the point. In real life, death doesn’t always make sense or serve a specific purpose. This book could have so easily been nothing more than a story about a futuristic society that trains children to kill aliens. But Ender’s Game was written by Orson Scott Card (one of my all-time favorite writers) and there’s much more to it than that. The real story isn’t about the alien threat — it’s about human nature. 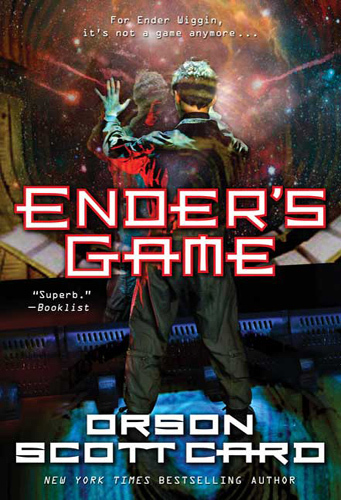 Ender’s Game wrestles with the question of how far it’s “okay” to go when you’re at war, and it does so from the perspective of a child who’s been immersed in a militaristic system for the bulk of his formative years. Just in case the military training isn’t enough to make him comfortable with genocide, though, he’s taught the entire thing is a game — that none of the aliens will actually die if he wins. As the story unwinds, we’re forced to confront ideas that can spill over into our own world. How violent can games become before they start affecting reality? When, if ever, are large-scale preemptive strikes an acceptable form of self-defense? What is an adult’s responsibility toward children? Somewhat less obvious is the question of an individual’s responsibility within society. Ender was raised from a young age to think of the Buggers (this name was changed to Formics in later Enderverse writings) as enemies you must destroy at all costs. He should have been thoroughly brainwashed into believing this, and yet learning he’d succeeded in wiping out his enemy in real life rather than just in-game nearly destroyed him. He devoted the rest of his life to making others understand the Hive Queen’s perspective and trying to set things right by bringing back the Formics species. Perhaps that’s the real take-away truth from Ender’s Game — there are at least two sides (and often more) to every story and it’s not always easy to see who’s right. 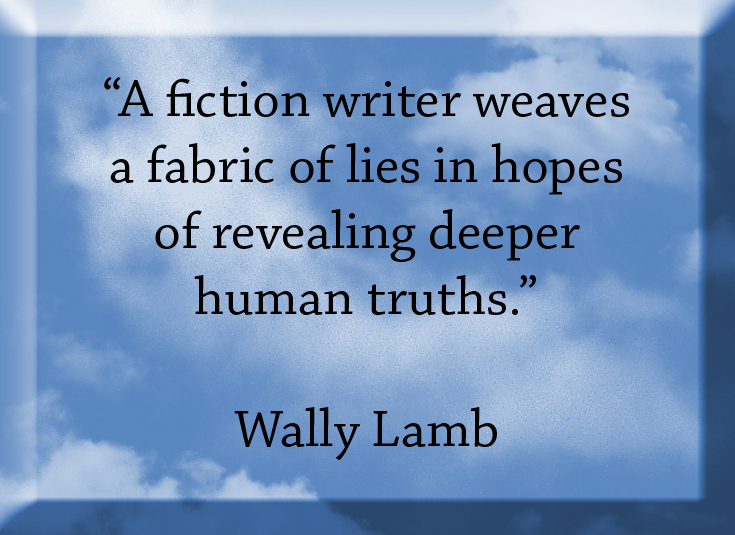 Your Turn: What are some of the truths you’ve discovered in and through fiction?